Bauman Loewe Witt & Maxwell, PLLC (“BLWM”) is a regional law firm with offices in Scottsdale, Arizona, Las Vegas, Nevada and Portland, Oregon. Its attorneys practice in the western United States, with attorneys currently licensed to practice law in Arizona, California, Colorado, Idaho, Oregon, Nevada, Utah, Texas and Washington. BLWM devotes its practice to investigation, resolution and management of complex litigation. Our goal is to provide our clients with cost-effective and creative solutions tailored to the client's needs, cost containment and unparalleled results. Included within our broad range of litigation services are our multi-state large loss property subrogation program, construct defect litigation, and general litigation for insurance companies and businesses. In addition to the substantive areas of law where they practice, our attorneys also are trained in forensic failure analysis, evidence acquisition and retention, forensic photography, property and liability insurance, products liability, code compliance, expert selection, and fire cause and origin determinations. We provide our clients with a full array of litigation related services ranging from oversight of forensic investigations, litigation in state and federal courts, mediations, and arbitration or trial services. We are not a traditional insurance firm. BLWM does not try to be everything to every client. Rather we limit our practice to areas that are complimentary of the other areas in which we practice. We leverage this experience to direct, contain and control the cases we handle to produce results consistent with our clients' expectations and entitlement. Our practice areas are described in detail in the pages that follow. 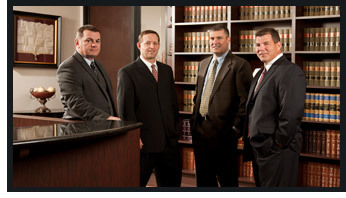 Please do not hesitate to contact our attorneys directly for more information.